Roman in origin, Mercato San Severino was once renowned for crafting stone and pottery. 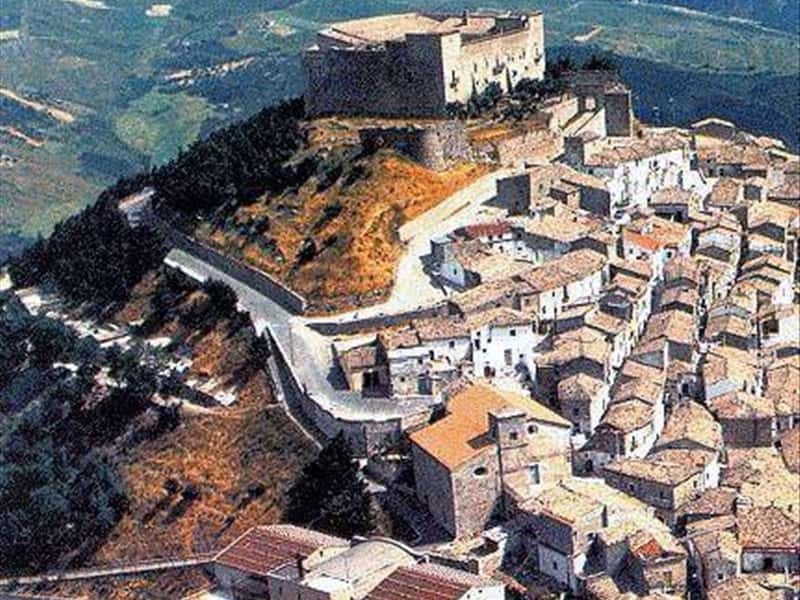 The Historic Centre still conserves its fascinating Medieval traits, evident above all in the Longobard Castle, one of the most important fortified edifices in all of southern Italy. It is composed by three different cores: the first one built by the Longobards, the second one by the Normans and the last one of Suevian-Angevin-Aragonese origin. The town's religious architectural heritage comprises numerous churches and the Convent of Sant'Antonio dei Redentoristi, founded, with a Papal Bull by Innocent VI, on 6 August 1358. Although the church's present facade displays lavish 18th century ornamentation and stuccoes, it is actually considered one of the primary Gothic works in the province. Its interior features the Sepulchre of Tommaso Sanseverino and, among the numerous paintings preserved, are a Madonna and Child, Saint Joseph and Saints, dated 1754 and attributed to GiovanBattista de Mari; a Glory of the Virgin, attributed to Francesco Solimena, and a Virgin of notable artistic interest created by Giovanni Bernardo Lama. The church's ceiling, in the central section, bears a grand tempera painting on wood with a representation of the Coronation of the Virgin and Saints Chiara, Michael, Francis, Anthony, Ludwig the Angevin, Louis IX of France, Saint Joseph and Saint Rocco. Pay a visit to the Town Hall of Mercato S.Severino, originally a sole monastic complex, along with the adjacent church, and the site of the Order of Dominicans under the title of San Giovanni in Palco. The history of the establishment of the Convent is linked to the ancient and illustrious Sanseverino family. This town web page has been visited 70,722 times.